I've read enough novels by Pam Jenoff to know better than to start reading one of her books in the evening. I ignored my inner monitor, did it anyway, and turned the final page at 3:30 AM. Yes, I was completely worthless the next day but it was so worth it. Inspired by actual people and events during WWII, The Lost Girls of Paris is filled with everything I've come to enjoy in a Jenoff novel. The author's meticulous research immerses the reader in the 1940's, both during and following the war. The transitions from 1946 New York City to 1943 London to 1944 France were flawless, with spot-on pacing that held my attention from beginning to end, and vivid descriptions that took me on an incredible journey. Told primarily from the points of view of three women, this story follows ordinary women leading extraordinary, incredibly dangerous lives as secret agents during the war and the young woman who stumbles upon their story a few years later. It's filled with danger, tension, betrayal, anguish, bravery, suspense, sacrifice, and heart...and I couldn't look away. Jenoff has a talent for creating fully-dimensional characters that pull me into their hearts and minds. I care about them. I'm invested in their lives and their happiness. I applaud their success, fear for their safety, celebrate the joy in their lives, and grieve their losses. My emotions were all over the place as I read this book because that's what a Pam Jenoff story does. It makes me feel. Another thing Jenoff does in her books is teach, though you don't realize how much you've learned until you finish the story. While reading this book, I was fully immersed in the journey of the characters. It wasn't until the next day, when I began reflecting upon what I'd read, that I realized how much I had learned about this part of history that was made in England and France during the war. I knew nothing about this group of female secret agents who were smuggled into France to aid the resistance against the Nazis but through Jenoff's fictional characters, I feel as if I've come to know and understand at least a small part of the real women who were members of this exceptionally brave unit. 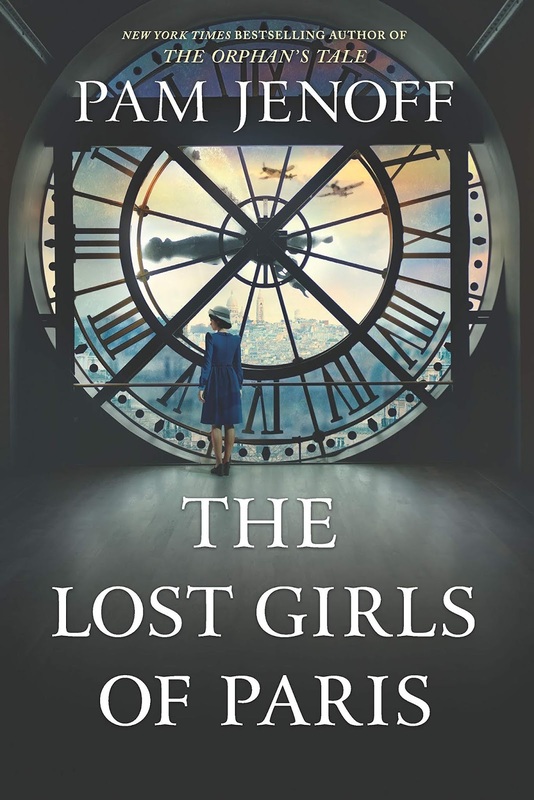 If you enjoy historical fiction, WWII fiction, women's fiction, or just an exceptionally well-written book that teaches you, touches you, and fills you with emotion, don't miss Pam Jenoff's newest novel, The Lost Girls of Paris. I highly recommend it. Have you read any of Pam Jenoff's books? Had you ever heard of the female secret agents of England's Special Operations Executive? 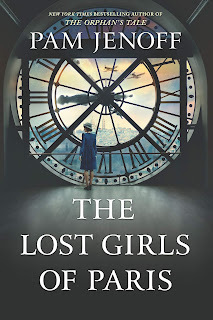 One randomly chosen person who leaves a comment on this post before 11:00 PM, 29 January 2019 will receive a paperback copy of The Lost Girls of Paris. Pam Jenoff was born in Maryland and raised outside Philadelphia. She attended George Washington University in Washington, D.C., and Cambridge University in England. Upon receiving her master's in history from Cambridge, she accepted an appointment as Special Assistant to the Secretary of the Army. The position provided a unique opportunity to witness and participate in operations at the most senior levels of government, including helping the families of the Pan Am Flight 103 victims secure their memorial at Arlington National Cemetery, observing recovery efforts at the site of the Oklahoma City bombing and attending ceremonies to commemorate the fiftieth anniversary of World War II at sites such as Bastogne and Corregidor. Following her work at the Pentagon, Pam moved to the State Department. In 1996 she was assigned to the U.S. Consulate in Krakow, Poland. It was during this period that Pam developed her expertise in Polish-Jewish relations and the Holocaust. Working on matters such as the preservation of Auschwitz and the restitution of Jewish property in Poland, Pam developed close relations with the surviving Jewish community. 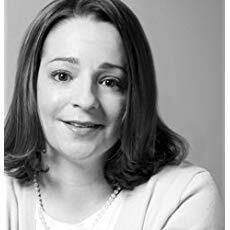 Pam is the author of The Kommandant's Girl, which was an international bestseller and nominated for a Quill award, as well as The Winter Guest, The Diplomat's Wife, The Ambassador's Daughter, Almost Home, A Hidden Affair and The Things We Cherished. She also authored a short story in the anthology Grand Central: Original Postwar Stories of Love and Reunion. She lives outside Philadelphia with her husband and three children. Thanks for the review. 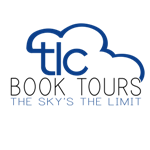 I've had this on my TRL. I enjoy reading about this era. Not the horrors but WWII era in general. I have read about about these women, true heroes without the recognition they deserved. Looking forward to reading List Girls Of Paris. Though Jenoff's characters are fictional, she brings them to life in a way that made me feel as though I was being given a glimpse into the lives of the actual women who served, as you said, without the recognition they deserved. I have read all of Pam Jenoff's captivating novels which are unforgettable. WWll novels are my favorite since they are meaningful, important and compelling. Reading these stories is about real life and difficult experiences. I have known about the women agents who were courageous and exceptional. I've always been drawn to novels set in the WWII era. It was a time of courage and sacrifice that I doubt we'll see again in my lifetime. Pam Jenoff's books are extraordinary since they are written with emotion, empathy, pathos and concern the most vital event which occurred - WW11. Reading this author's books is a journey to another time and place. I know of the women who were agents for SOE. They were risking their lives for a cause and knew about their chances. "A journey to another time and place" describes her books well. I've felt that way with each of her novels that I've read. Never read any of her books, but now I want to!!! I've enjoyed all of them that I've read but my favorites are The Lost Girls of Paris and The Orphan's Tale (link to my Top Dish review: https://bit.ly/2mmkPYX. I highly recommend them both! I had not heard of that female secret agents group. I have never had the privilege of reading any of Ms Jenoff's books. I am familiar - somewhat - with the female agents from Britain who were sent into France in order to help the Resistance. I am very interested in WWII and all the amazing events by Allied personnel. Thanks for the introduction to another new to me author. And I look forward to this book. Unfortunately I've never read one of her books. Yes I've heard of the women who went to France to help with the Resistance from other books. I've not read an of her books, but I plan on reading this. I always assumed that there were special women ops spies that helped out during the war. I have not read any of Ms Jenoff's books but have heard about this one. I am intrigued as I love reading historical fiction books. WWII is especially interesting to me as my dad was a navy man and out in the Pacific. Also, the holocaust affected family members who remained in Europe and Russia. I have not yet read any of Pam's books, but several are on my Wish List, especially Almost Home and The Things We Cherished. I knew there were women working as British agents during WWII. Many years ago there was a special on TV about one female agent who was captured, tortured, and executed. Sadly, I do not remember the name of the woman. It was a sad and troubling piece. Sadly I have not read any of her books yet. I knew there were women spies for England during the war but didn't know ant specific details. I have read all of Pam's books. Love them and her. If you ever get a chance to hear her speak, go. This sounds interesting. Pam is a new author for me. Thanks for the post.